CBC has announced a new partnership with digital media firm Fullscreen, with the goal of fostering more digital storytelling by Canadians and boosting Canadian web video stars. The multi-year partnership sees the public broadcaster team up with Fullscreen, a company that supports individuals and firms creating online video content and helps them share it across a variety of platforms. Fullscreen's more than 2,000 Canadian creators will become part of the new CBC | Fullscreen Creator Network. 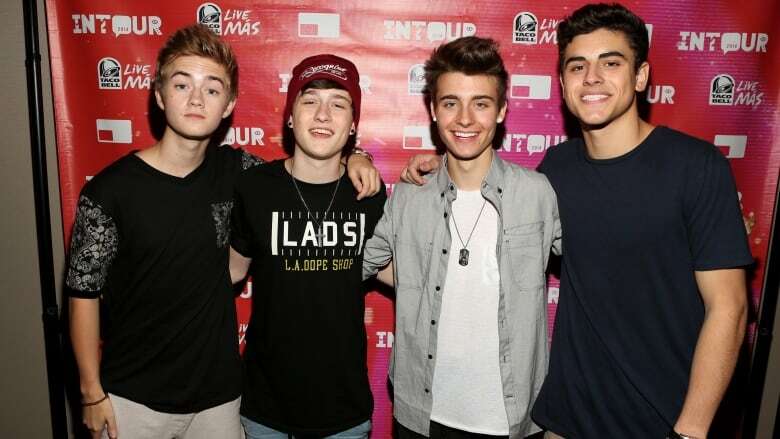 Calgary's Christian Collins, the 19-year-old known as WeeklyChris, is one of Fullscreen's online superstars. After first dabbling in online video at the age of 12, he now has more than 1.5 million subscribers on YouTube alone. "I create content across the different platforms: Snapchat, YouTube, Twitter, Facebook, Vine, Instagram, Tumblr," he told CBC News at Wednesday's announcement. "I do kind of a mix of music, comedy and just daily vlogs," explained Collins, whose siblings Kirsten, Crawford and Karisma are also social media stars. "I get to connect with millions of people across the world… It's almost like I have a few million best friends." Fullscreen currently features nearly 70,000 creators around the globe – including pop duo and Vine success story Jack & Jack, tech expert Linus, extreme sports videographer Devin Supertramp and web personality, host and vlogger Grace Helbig – with about 600 million subscribers watching their videos. Today, people consume video content in a variety of ways, points out Fullscreen chief revenue officer Mike Wann. "I spend probably a couple hours a day on my iPhone and another couple hours a day on my desktop. Then I go home and I watch broadcast television. All these pieces are now sort of components of engagement ...It's no longer the single standalone medium of radio, television and what have you." "We are committed to enabling Canadian creators to share their stories, grow their audiences and make their activities sustainable," said Richard Kanee, head of digital for CBC English Services. "[CBC's] programming team will be looking for ways to highlight, promote and integrate creators from our network on CBC.ca and within our programming, both digital and broadcast. These opportunities will evolve over time." Though many are already posting their videos to YouTube, the goal of the new network is to "accelerate and amplify the creator's success. We provide a set of tools and best practices not available from YouTube: coaching, training and support as well as providing new revenue opportunities that would be unavailable or overwhelming to many creator working on their own," Kanee added. "We also provide increased opportunities to engage with audiences and develop content off of YouTube. We are committed to working with developing and emerging talent who are ready to take the next leap in their craft." In a statement, Heather Conway, executive vice-president of CBC English Services, said that the "partnership will allow CBC to deepen its leading digital relationship with audiences by supporting this emerging group of Canadian YouTube stars." "We're building a new model in the Canadian marketplace that puts the next generation of talent at the core of linear and digital entertainment in collaboration with one of the most respected broadcasters in the world. This is a major win for creators and brands," added Fullscreen president Ezra Cooperstein.